Their pursuit of the organic has crept into their collections for the brand, which is best known for pioneering minimalism – in handcrafted coat linings and AW19 hand-drawn herons, but also in the bursts of green plantlife which invade their otherwise pristine show sets. 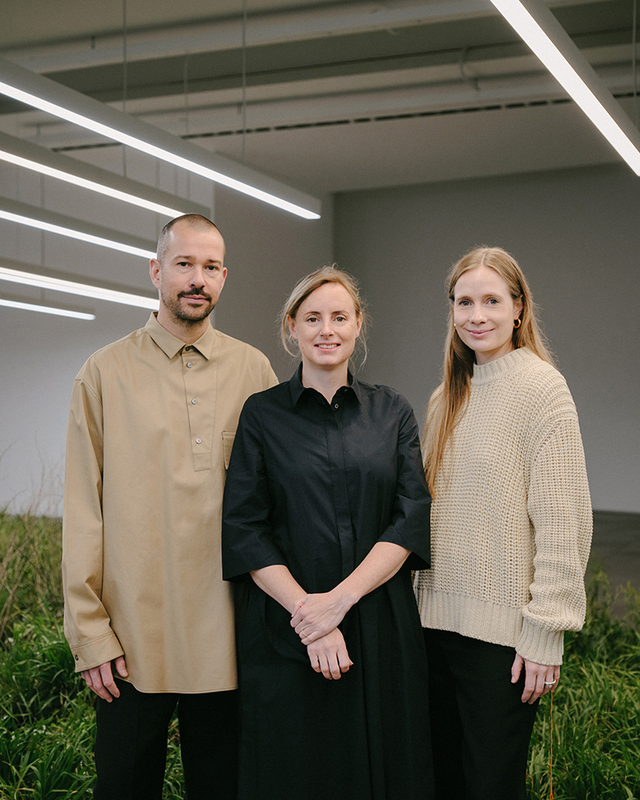 And as of this autumn, it will emerge, too, in Jil Sander+, a new series of seasonal collections for men and women, designed specifically for life outside of the city. For A/W 2019, the brand has collaborated with Mackintosh to create a series of highly functional outerwear pieces and accessories, which complement the luxurious yet utilitarian new take on clothes for the outdoors. Each Jil Sander+ collection will also manifest in an artist collaboration. This season, it takes the form of ‘Adjacent Field’, a living installation celebrating Milan’s urban flora, conceived by Melbourne-based artist Linda Tegg within the brand’s Milan headquarters. ‘Bringing a living being from one side of the wall to the other can disrupt the logic of spaces that are very anthropocentric and hygienic,’ Tegg explains.